Zimmie Caner grew up in the Pacific Northwest. After earning her bachelor's from William Smith College and graduating law school at Seattle University, Zimmie served as an assistant attorney general with a focus on health care. She later came to preside over health care cases as an administrative law judge. Throughout her career, Zimmie has volunteered for environmental, educational, and civil rights non-profit organizations, and has served on a number of non-profit boards. 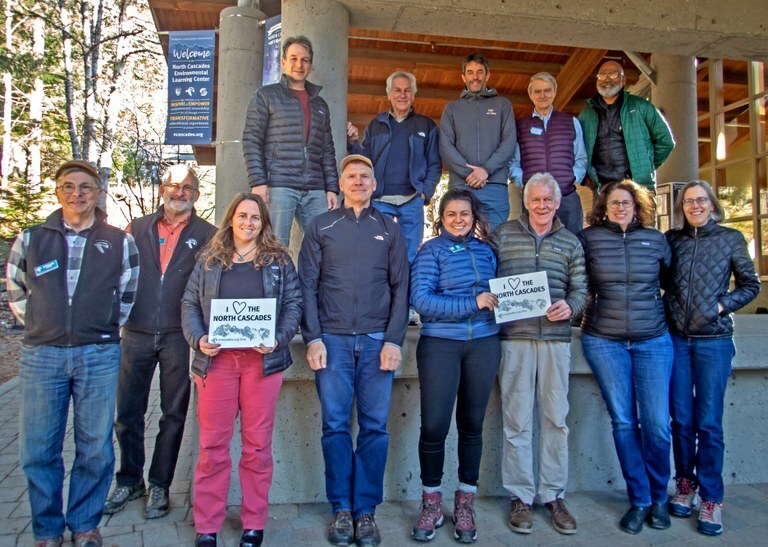 Zimmie joined the Board because she wants to help the Institute’s programs reach a greater number of children and adults, and to nurture future stewards of the northwest wilderness and environment. When Zimmie is not working, she is usually out gardening or biking in town, but her happiest moments are spent in the mountains hiking and skiing with family and friends. Tina was born and raised in Mount Vernon, WA and proudly calls the beautiful Skagit Valley home. Her first camping experience was in the 5th grade when she attended the Institute’s Mountain School program in the days before the Environmental Learning Center. Tina worked as an Interpretive Ranger with North Cascades National Park Service in college and helped create connections between Skagit’s Spanish-speaking community and the North Cascades by sharing presentations and leading guided trips to the park. This experience fostered an impassioned commitment towards contributing to and engaging with an intersectional community in Skagit County to create a culture of inclusion, accessibility and cultural relevancy in the outdoors. After college, Tina worked in the human services field for over five years where she assisted Skagit youth and families with accessing educational and health and wellness services. She is currently an Admissions Counselor at Western Washington University. 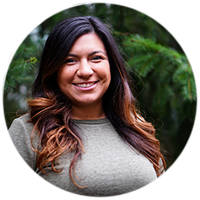 Tina earned her Bachelor of Arts in Psychology from Gonzaga University and she enjoys collecting records, making salsa, dancing cumbia, and hiking with her goldendoodle Ollie. Sterling Clarren was born in Minneapolis. After undergraduate years at Yale University and Medical School at the University of Minnesota, Sterling came to Seattle for residency and fellowship training at the University of Washington. 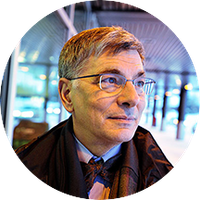 He stayed on at the University to become the Aldrich Professor of Pediatrics, Chief of Developmental Medicine and Director of Inpatient Medicine at Children’s Hospital. As a researcher and teacher, the role of outdoor education in facilitating physical health, mental wellbeing and a wilderness protection fascinates Sterling. Ever since his first experiences in the Institute’s Adult Programs in the late 1980s, Sterling has admired the way the organization encourages learners of all ages to love of the natural world. In his free time, he takes every opportunity to hike, camp, fish, write poetry and enjoy the mountains with his wife, family and friends. Gerry Cook grew up in the rural foothills of the North Cascades and fell in in love early with the high country. After his bachelor's degree in Fine Arts from Washington State University, Gerry returned to Marblemount for summer work in the North Cascades, first with the U.S. Forest Service and later as a National Park Service fire lookout. He developed skills in construction and design, and helped to establish many of the architectural themes used in shelters, boardwalks, and installations across North Cascades National Park. 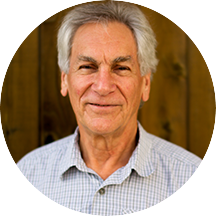 Gerry has been on the Institute’s board for many years, and he serves on the Program Evaluation and Assessment Committee. He has been greatly inspired by the Institute’s ability to foster stewardship in people of all ages, color and orientation through exposure to wilderness. Now retired after 44 years of public service in the North Cascades, Gerry lives in the house he built in Marblemount as a young gallery owner and potter. While he craves the snow and the possibility of venturing out on his skis, Gerry will happily settle for a hike or a bike ride. 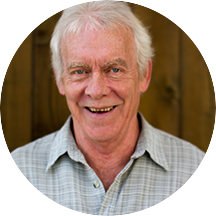 Dunham Gooding founded American Alpine Institute in 1975 and now oversees program and staff development. He has taught courses and guided expeditions in the Cascades, Canada, Ecuador, Bolivia, and Patagonia. Dunham has climbed extensively throughout North and South America, with new routes in the Cascades and first ascents in Bolivia and Alaska. Over the years, Dunham has served on wilderness management and wilderness policy task forces in this country and in Chile, as chairman of the American Climbing Sports Group, chairman of the National Summit Committee on Mountain Rescue, president of the American Mountain Guides Association, and president of the Outdoor Industry Association. He lives in Bellingham with his wife Sheilagh. Steve Hollenhorst has served as the Dean for Huxley College of the Environment at Western Washington University since 2012. Prior to that he was a faculty member at the University of Idaho, where he served as Associate Dean of the College of Natural Resources, Chair of the Department of Conservation Social Sciences, founding director of the University’s award-winning Building Sustainable Communities Initiative and founding director of the McCall Outdoor Science School. He was also director of the University of Idaho's Park Studies Unit, a branch of the National Park Service Social Science Program, as well as co-editor of the international academic journal Society and Natural Resources. Prior to the University of Idaho, he was a professor and program coordinator in the Division of Forestry at Western Virginia University. He is the founder and first executive director of the West Virginia Land Trust. Peter Hardin Jackson is a freelance scribe. He has most recently written for Crosscut.com and served as the editorial page editor at The Daily Herald in Everett, WA. For five consecutive years, he has won awards for online commentary or editorial writing from the NW chapter of the Society of Professional Journalists. He most recently won the Dolly Connelly Excellence in Environmental Journalism award. In the 2000s, Jackson worked as a speechwriter for Governors Gary Locke and Christine Gregoire. He was a VISTA Volunteer in Port Townsend, WA, and served for 8 years as a Commissioner on the Washington Commission for National and Community Service. Jackson sits on the Advisory Board of the University of Washington Center for Human Rights, an entity he helped create through an act of the Washington Legislature in 2009. He was born in Washington, D.C., and graduated from St. Albans School and Georgetown University. Jackson and his wife, Laurie Werner, live in Seattle. As an Alaska native and long-time resident of western Washington, Beau has developed a lifelong passion for our local natural world. At a young age he served as a youth member of Skagit County Search and Rescue, a formative experience that fostered an early dedication to land conservation and environmental education. Beau believes that exposure to wilderness at a young age can foster a sense of stewardship, community and connection to place can define an individual throughout their life. 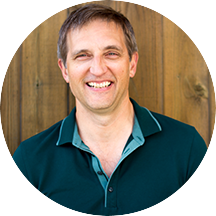 Beau holds undergraduate degrees in Business Administration and Psychology from Western State College of Colorado and Western Washington University, respectively, and a Master’s of Architecture from the University of Washington. As an Architect, he has NGO design experience in East Africa, public education design experience in Washington State, and residential design experience in Colorado. In 2009, Beau founded Savino Manieri Holdings, a real estate and automotive investment firm based in Bellingham, WA. 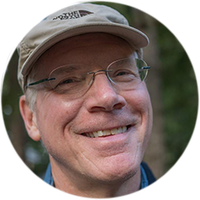 He is an avid all-weather hiker, cyclist, skier, living in Bellingham and Seattle. Carter McBride has over 30 years of banking, biopharmaceutical and higher-education experience. 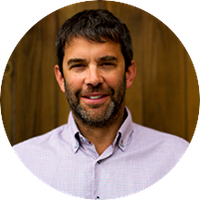 He is a member of Wilderness Awareness School's Board of Trustees and National Outdoor Leadership School's Advisory Council Board. Carter is also a graduate of WAS' Anake Outdoor School, NOLS' Instructor Course and a Boy Scouts of America – Wood Badge Recipient. 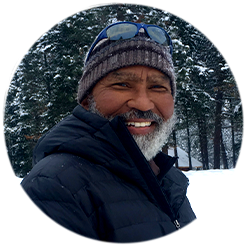 Carter’s immediate goal for joining Board is to establish presence and position in moving North Cascades Institute forward while utilizing his professional background in marketing, multicultural inclusion and training that supports both the mission and strategic goals of the Institute. He enthusiastically embraces this collaborative opportunity to create a better Natural World for all. He graduated with a BS and MBA from the University of Central Oklahoma. Carter is an avid outdoors person, which includes primitive & traditional bushcraft skills while simultaneously embracing modern equipment and technology. Carter is grateful to live on both sides of the North Cascades in Woodinville and Twisp, WA. Nan McKay grew up in the Midwest, spent time on the East Coast and moved to the Northwest in 1971. Nan developed and led the Environmental Sustainability Program for The Russell Family Foundation, managing grants to 160 nonprofit organizations. She also provided critical leadership for three Washington Governors as Chair of the Puget Sound Action Team and Director of the Puget Sound Water Quality Authority. She worked for local government associations in Oregon and Washington on issues including growth management, energy policy and juvenile justice. 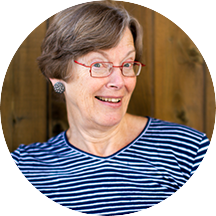 Today Nan is the Senior Advisor to 501 Commons' Service Corps, co-chairs the board of the Sustainable Path Foundation, and serves on the Northwest Straits Marine Resources Commission, the board of Western Rivers Conservancy and the Advisory Council for the Salish Sea Institute at Western Washington University. She is a past chair of the North Cascade Institute's board and serves on its Resource Development and Governance Committees. A lifelong believer in the power of nature-based education, she is eager to give young people opportunities to learn leadership skills. She lives with her partner Howard Berglund in Seattle where she enjoys the arts, cooking and gardening. Martin Mehalchin was raised in the Colorado Rockies and received a BA in International Affairs from University of Colorado. After earning his MBA at Cornell University and working as a consultant, Martin came to Seattle 11 years ago as a partner with Lenati, a Seattle-based marketing strategy firm. Inspired by the Institute’s work in the community, Martin began offering some pro-bono marketing advice, which ultimately led him to his joining the Board in 2013. He now chairs the Marketing Committee and is proud to collaborate with an organization that has pioneered a multidisciplinary approach to conserving and protecting natural environments through education. In his free time, Martin travels near and far, always trying to get outdoors as much as possible with his family. Stan Miller was raised in Iowa, but teenage exposure to the Rockies and Sierra Nevada in adolescence ensured mountains would be in his future. He settled in Northern California for a time before coming to Bellingham to obtain his accounting degree from Western Washington University. His public accounting career spanned more than a dozen years, focusing on the nonprofit niche with Seattle's office of Moss Adams LLP. Since his subsequent work as CFO for a number of different businesses in the Northwest, Stan now serves part-time as VP of Finance for Gear Aid. Stan joined the board in 2009, drawn by the quality of learning and leadership at the Institute. He serves as the Board's Treasurer and chairs the Finance and Audit Committees. 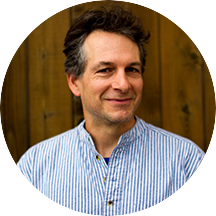 In another part of his life, Stan excels as a luthier with a passion for building handcrafted mandolins, a talent developed over many years. And though his climbing days are behind him, he still enjoys getting out into the North Cascades whenever he can. 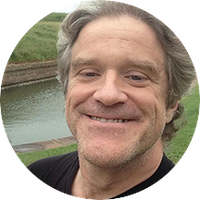 Byron is a content lead for new cloud technologies at Microsoft and a nationally recognized author, speaker and adventurer. His work has received three Communication Arts Awards and an International Distinguished Award by the Society for Technical Communications. Byron’s book, Homelands: Kayaking the Inside Passage, and assignments for such magazines as National Geographic Adventure have taken him kayaking from Alaska to Seattle, dog sledding in Alaska’s Brooks Range and paddling among the colossal icebergs off Newfoundland. He is a graduate of Grinnell College. 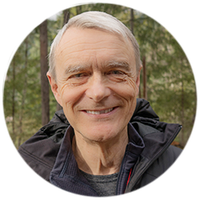 Byron believes that direct experience with wild places can be enriching and transformative, and he is committed to sharing these opportunities with others. In addition to serving as Board Secretary on the Executive Committee, Byron chairs the Governance Committee, which defines board responsibilities and manages board recruitment. In his spare time, Byron's skill with the accordion comes in handy when he and his wife host Soundfalls, a show of live performance in the Snoqualmie Valley. He also aims to keep his surf ski upright during the annual Ski to Sea race in Bellingham. Maureen Ryan grew up at the confluence of the Allegheny and Monongahela Rivers in Pittsburgh and in the saltwater bays of coastal Massachusetts. 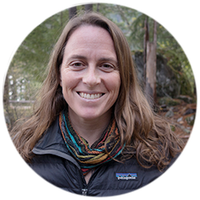 After graduating with a BA in English, she jumped to environmental and outdoor education for six years, then completed a PhD in Evolution and Ecology at the University of California Davis. 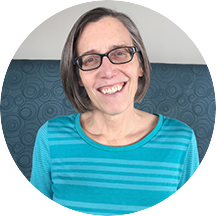 Maureen spent 15 years as a field-based evolutionary ecologist focused on amphibians, wetlands and climate change in various academic posts, including at the University of Washington and Fairhaven College. 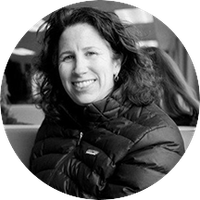 Maureen now works with Conservation Science Partners (CSP), a nonprofit conservation research group, co-leading CSP’s organizational focus on creativity and innovation and designing creative leadership trainings for international conservationists. She is happiest when surrounded by animals, dancing to electronic and world music, wielding a blowtorch, traveling by water, or listening to people and nature through channels below and beyond her intellect. 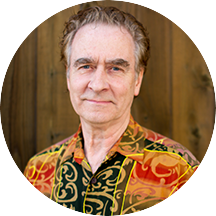 George Sanders taught accounting and financial management in not-for-profit entities and other accounting classes at Western Washington University until June 2017. He received a BS in Zoology from LSU, an MBA from the University of New Orleans and a PhD in business administration with an accounting emphasis from the University of Alabama in 1989. George has published research dealing with governmental accounting, the audit market, and accounting regulation in a number of academic and professional journals. Before starting his academic career, he worked as a field biologist for BioOceanic Research, Inc., a company that provided biodiversity assessments and pollution data for the waters off the coast of Louisiana. George enjoys traveling, kayaking, hiking, skiing, scuba, photography and competing in dog agility trials. Mona West has over 15 years of consumer product and retail marketing experience. She is on The Mountaineers advisory council and also serves on the board of Washington's National Park Fund. She graduated with a BA from Yale University and an MBA from the Darden Business School/University of Virginia. She's an avid hiker, scrambler and international adventure traveler, and lives in Seattle.